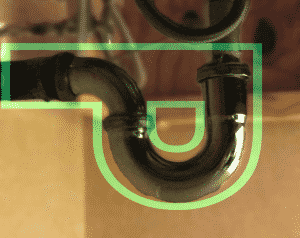 Have you ever wondered why the drain plumbing under the kitchen and bathroom sinks have that weird bend in it? What is it for? 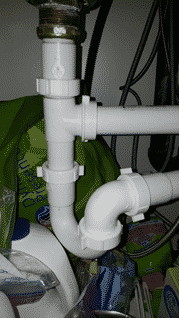 These are called P-traps and do serve a very important role in the health and safety of your home by preventing sewer odors from entering the home by blocking the pipe with water. As well, it helps catch items that may otherwise never be retrievable. Without them we couldn’t stand to be in our home because of the smell. There are two primary materials they are built with in today’s construction practices. The most common is plastic, which is made of either PVC or ABS. They are easy to install and maintenance is easy to perform. The plastic P-Traps are the least expensive of the two but is not as attractive as the metal traps. take apart to clean or service. Take care when using tools on the fittings as this could damage the finish. Be diligent in inspecting and servicing metal P-Traps annually and replace if there are any signs of rust or corrosion. properly installed p-trap, you’ll probably find that it’s nice and clean inside; this is because it’s self-scouring. The water drains through the trap in such a manner as to pull solid materials out of the trap along with the water. The main problem with drum traps is that they’re not self-scouring. A drum trap holds so much water that the water and solids coming in to the trap will not be pulled directly through, which can allow for the accumulation of solids in the bottom of the trap. This makes drum traps more prone to getting clogged. Another problem with drum traps is that they can be difficult to clean out. Most drum traps have a removable cover, but drum traps are usually located right below the floor, making the lid extremely difficult to access without cutting out the floor. The first question that comes to my mind is “what do I do if I have A Lead Drum Trap in my home?” And the answer is simple, leave it! That’s right leave it alone, if the system is working properly, doesn’t leak or isn’t clogged beyond repair it is ok to be in your home. You will want to clean and inspect it annually, but if it’s doing its job, let it be. If you are doing a bathroom or kitchen remodel this will be a great time to consult with a licensed plumber to replace it with a current P-Trap and plumbing drain system. These systems do require some maintenance throughout the year and we recommend inspecting your plumbing system annually as preventative maintenance. 1. Position a plastic bucket directly under the P-trap. 2. Using pliers, remove the two coupling nuts that attach the trap to the sink tailpiece and to the adjacent wall fitting. If these nuts won’t budge, or if they simply fall apart when you try to move them, it’s time to purchase a replacement trap. 3. Clean the interior of the trap with a straightened wire coat hanger or a large nylon bottle brush. completely clean inside and out. 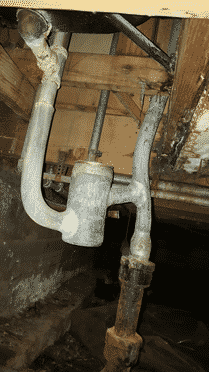 A piece of debris lodged between a drain washer and the drainpipe can cause a leak. Use the cleaning as an opportunity to inspect all the washers — they should be soft and supple. If they aren’t soft, you need to replace them. 4. If you discover that the trap is clean and clear (and not the reason for the clog or slow draining), then insert a small retractable drain snake directly into the pipe in the wall. Work the snake in and out while rotating the handle clockwise. 5. Reassemble the trap. Make sure that each washer is properly seated. Twisting can be a real problem. Don’t over-tighten the connections. At first, the coupling nuts should be no more than hand-tight. If a leak persists, continue to tighten a little at a time until the leak disappears. If increased tightening doesn’t do the trick, chances are, the washers are dirty, twisted, or defective. Try again! 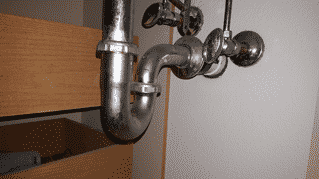 Once a year we advise our clients and homeowners to inspect and maintain the plumbing system in their home. Check that all faucets are tight and all water lines are not leaking. Inspect the drain lines for clogs and to make sure they are hand tight. Verify that the caulking and grout in showers, bathtubs and back splashes are in good shape and reapply if necessary. Check that the toilet is secured to the floor and the tank is secured to the bowl. This process take less than a hour a year to complete and will save you headaches in the future. 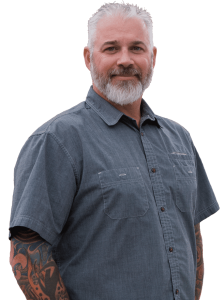 If you have any questions about your homes plumbing system or any other component feel free to call or email us. 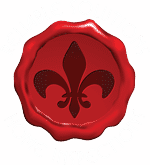 If you’re in need of an inspection please use the schedule online link or contact us for availability. ← What Do We Look For During A Home Inspection?